Influencers are becoming increasingly important for brands that want to improve the success of their marketing by reaching a wider audience, resulting in greater brand recognition and higher sales. For businesses related to the travel and tourism sector, influencer marketing can be especially effective, if done correctly which is where Tenerife Magazine can definitely help you today! What is Influencer Marketing and why use it? The concept of word-of-mouth recommendations from friends, family or colleagues is nothing new. People regularly follow the opinions of those they trust, even if they weren’t initially sold on the official brand message. With the power of social media though, this form of recommendation and trust has taken on a whole new significance and level which your brand should definitely capitalize on. With literally billions of people using social media and influencers with a significant presence on one or more of the major networks (Facebook, Twitter, Instagram, Pinterest, YouTube), and of course top bloggers, this is something your brand cannot afford to miss out on! With the right influencer and partnership your brand can tap into the highly engaged following of these individuals and skyrocket your success. Influencer Marketing is an excellent way to increase engagement with your brand and profits, but it is unwise to jump in without a plan or assistance if your brand has no experience with this type of marketing. That’s why you should work with Tenerife Magazine. Due to our significant experience in digital marketing, travel and tourism and working with influencers, we can assess potential outside influencers for you and see if they are a good fit for your brand, then invite them over to Tenerife. We will reach out to influencers that have already booked a trip to come to the island themselves and connect with them. 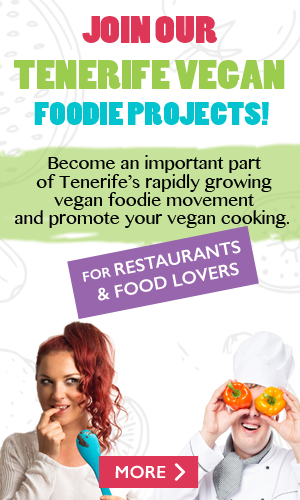 Due to the significant reach and engagement of Tenerife Magazine we are in the unique position to be able to connect local companies and local & international influencers together. Our program is not only limited to social media influencers, but also media producers who create top quality photos and videos. We will help to measure and report on media trips to help you to easily understand the benefits for your brand. This will also help you to decide what went right, what could be improved and whether you want to repeat influencer marketing again. While he was here he joined our team on a number of different excursions and produced high quality videos and photos. The benefit of these products is the global reach, and the digital footprint that will last for years. People who see the work produced even years later can potentially be influenced to visit Tenerife and try these excursions while here. They can also potentially reach people all around the world through the power of the internet using either their mobile devices or computers. This is in stark contrast to more traditional marketing material such as TV adverts, magazines, flyers or billboards. We also connected with a Canadian travel blogger and social media influencer who decided to visit Tenerife for the first time. While she and her partner were here they did a number of different excursions and activities. Following her time here she wrote an excellent guest blog post which you can view here: http://www.tenerifemagazine.com/featured/tenerife-europes-own-hawaii.htm This post mentioned the different excursion companies they used and shows what a great time they had in Tenerife! If you are interested in becoming part of our influencer program, then please get in contact with us so we can start connecting you with quality influencers as soon as possible!